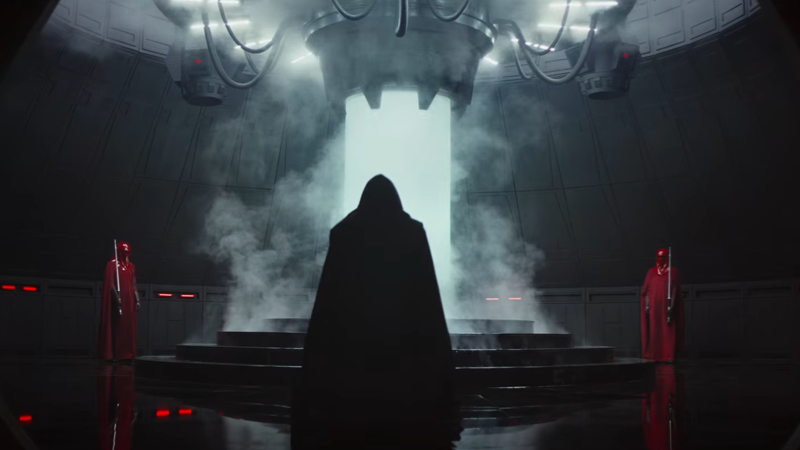 Ever since we first saw footage from Rogue One, we’ve wondered about that one mysterious shot of a kneeling hooded figure in front of a mysterious, foggy tube. Who’s the figure? What’s inside the tube? Well, a seemingly innocuous featurette for the movie might have provided the answer. It’s a human torso—missing their lower legs, most of their left arm, and part of their right. Now who do we know in Star Wars that matches a description like that? The art does indeed seem to be of remnants of Anakin Skywalker’s organic body. We know Anakin appears in the film in his full Darth Vader outfit, of course, because we’ve seen Vader stomping about the place in all the latest footage. But why would the movie need to be a sculpt of Anakin out of his Vader armor... unless he at some point he takes it off? And where would the charred remnants of Anakin Skywalker be, other than inside a bacta tank? Which brings us all the way back to that shot from the first trailer. It’s long been hinted that the tube was indeed a bacta tank, like the one Luke recuperated in in The Empire Strikes Back. Now it seems very reasonable to guess that Anakin’s charred remains are inside it (does he have to get out of the suit every once in a while to keep his body going?). And this in turn makes us turn to the hooded figure in front of the tube once again. 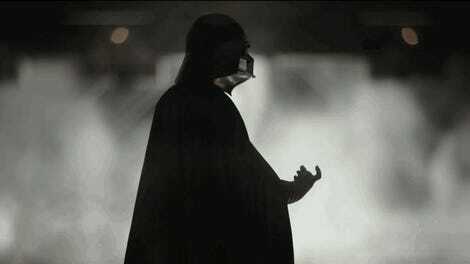 Many had thought that the kneeling figure was somehow Vader, but if Vader’s in the tube, could it be Emperor Palpatine? His royal guards are there, after all. And who else would be allowed to see the man behind Vader’s fearsome mask other than the one person who really knows who Vader is? We know Rogue One features Vader. It’s seemingly got Grand Moff Tarkin, too. So could another classic Star Wars villain be amongst its cast?